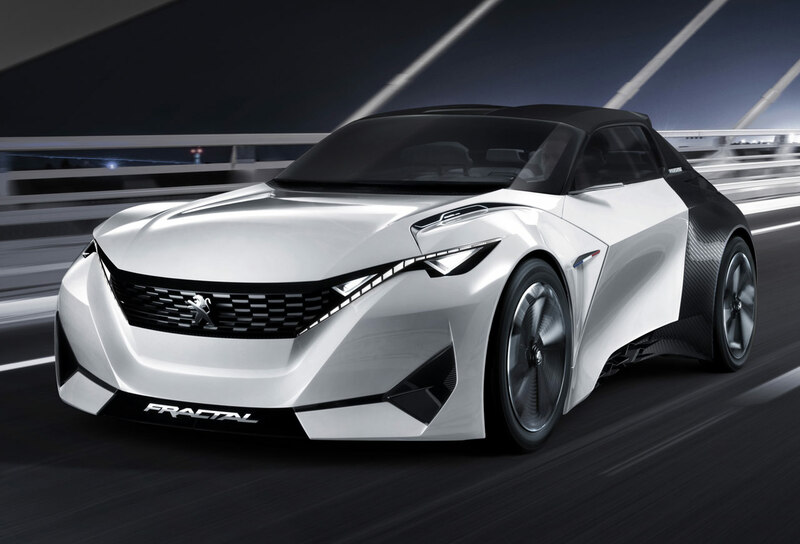 The Peugeot FRACTAL is a sporty little four-seat concept car with an all-electric drivetrain and an advanced audio system. 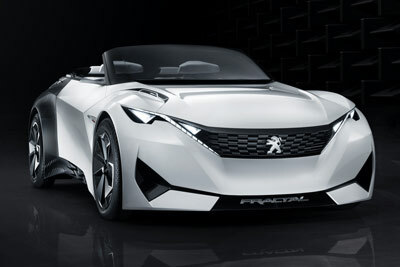 Peugeot categorize the vehicle as an "urban coupe" which is just a ridiculous statement considering A, It's a convertible, and B, it could surely be used out of town too. 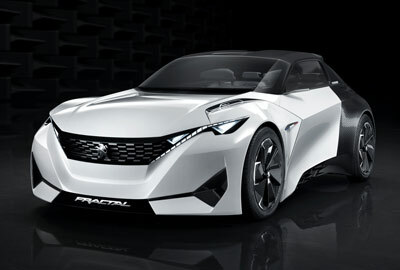 Forgetting the marketing BS language however, the FRACTAL is a pretty funky looking machine with plenty of appeal. 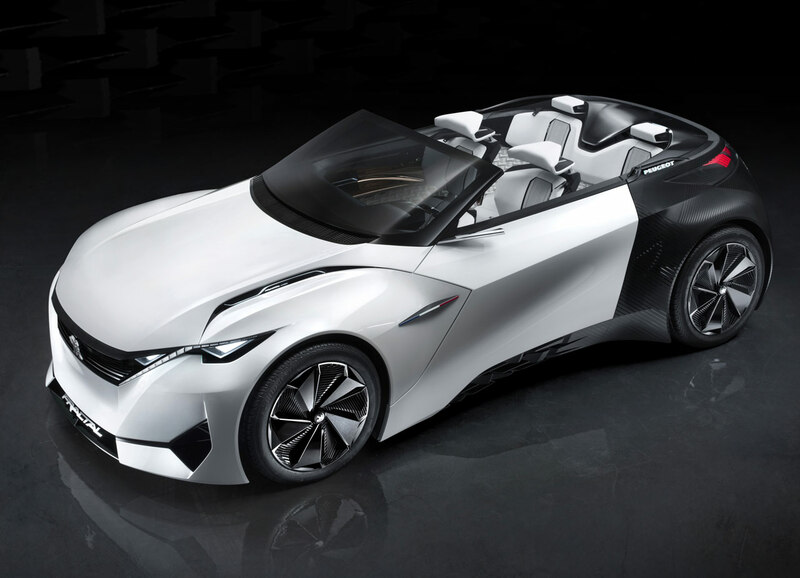 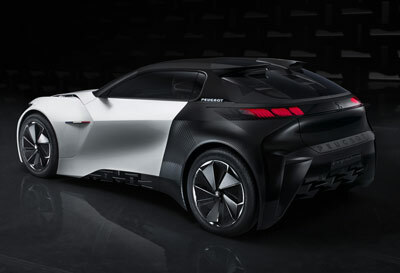 Leaving aside the sharply sculpted body and two-tone coloring (both influenced by the Onyx and EXALT concepts), the Peugeot FRACTAL is packed with gadgets. 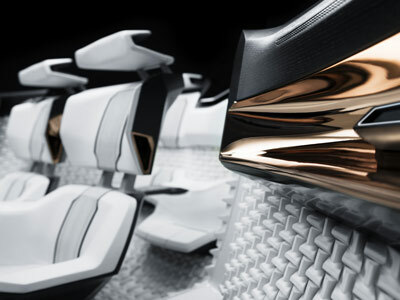 It features an innovative 9.1.2 sound system with tactile bass systems built into the back of each seat. 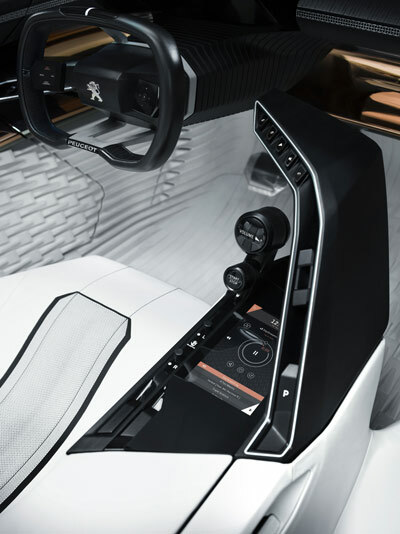 This system is linked to the hi-tech digital 'i-Cockpit' and is designed to assist the driver by providing audio feedback regarding the car's secondary systems. 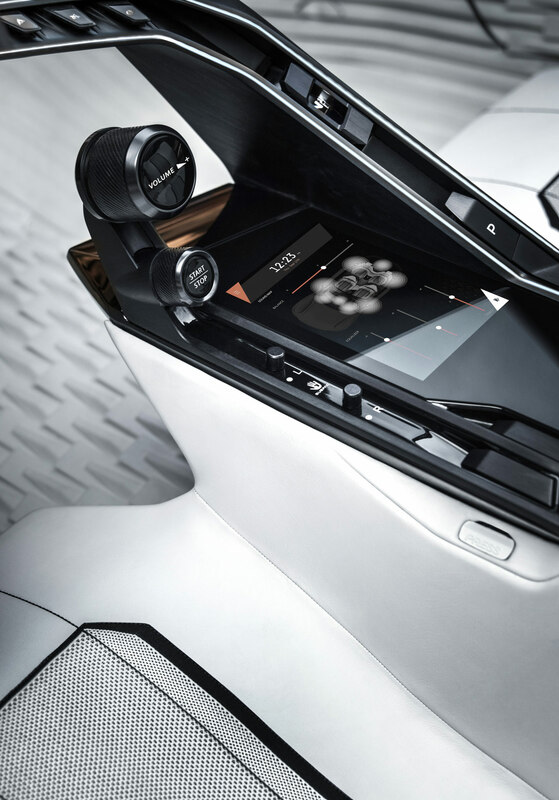 The FRACTAL also features a heads-up system with a holographic display, customizable 12.4-inch digital screen, a 7.7-inch AMOLED screen, and a thumb-controled touchscreen built into the steering wheel. 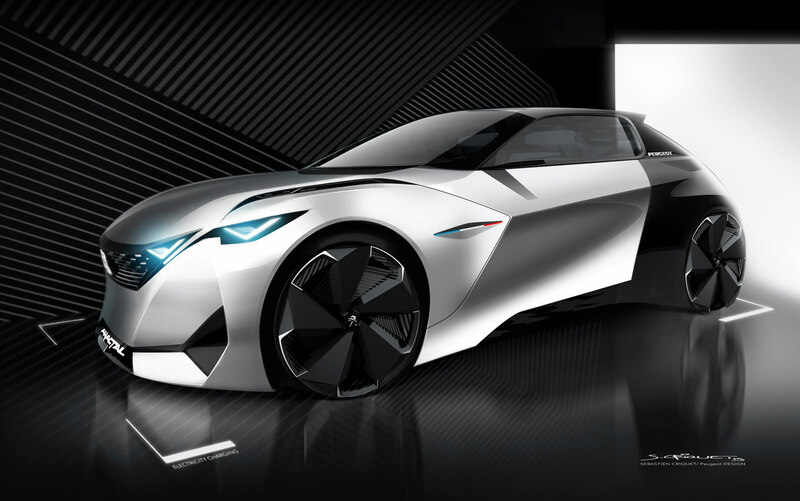 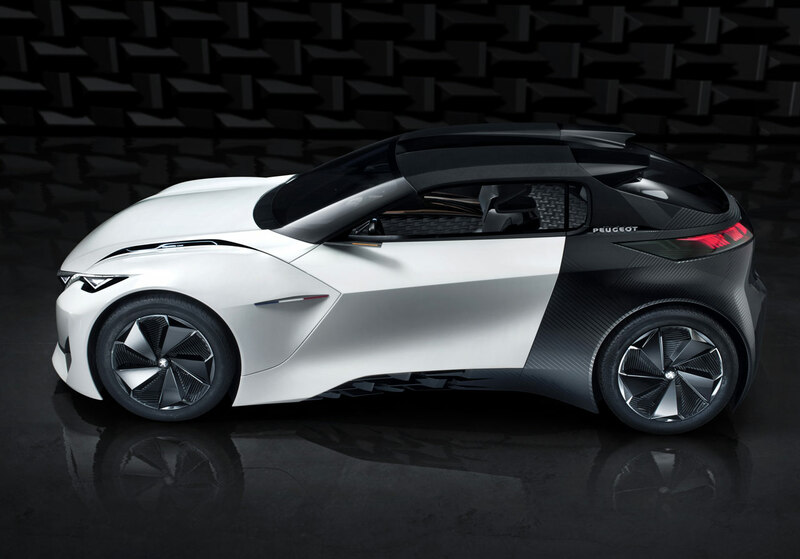 The futuristic interior design of the Peugeot FRACTAL concept was partially inspired by modern audio systems, auditoriums and recording studios. 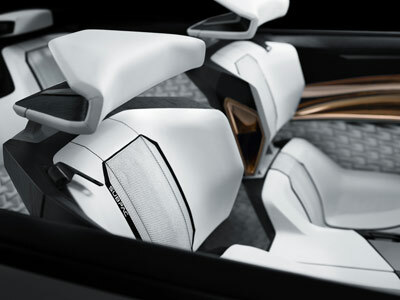 Black oak panels cover the instrument panel, door panels and bucket seats; copper trim reminiscent of audio connections runs through the interior, with 3D-printed anechoic (anti-echo) motifs enhancing acoustic comfort. A 3D textile mesh covers the seats and is offset by white leather trim. The advanced audio system fitted in the FRACTAL means that Peugeots engineers have managed to create a much more involving experience for the occupants. For example, when the navigation system is in use, the synthesized voice appears to come from some distance in front of the car. 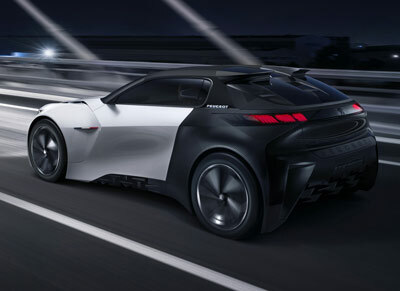 As the vehicle travels along, the source moves toward the cabin and shifts to the side to which the car needs to turn. 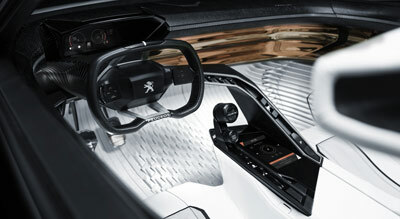 At intersections, it is positioned in close proximity, inside the car, to alert the driver to an immediate change of direction. The 9.1.2 speaker installation features a 9.1 system comprising, in the front, three mid/high-range speakers, two tweeters, two woofers and a subwoofer, and, in the back, two mid-range speakers, two tweeters and a woofer. 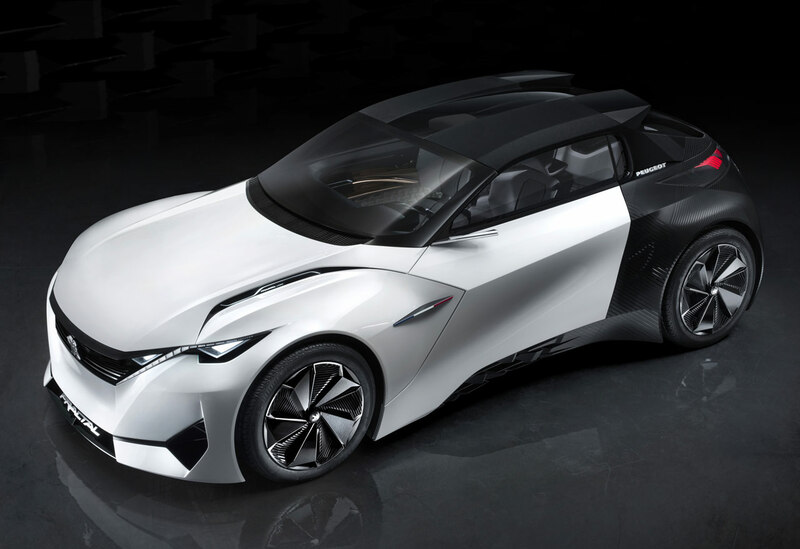 Powering the Peugeot FRACTAL concept is an all-electric drivetrain which consists of two 102 horsepower electric motors, one driving the front wheels, the other the rear wheels. 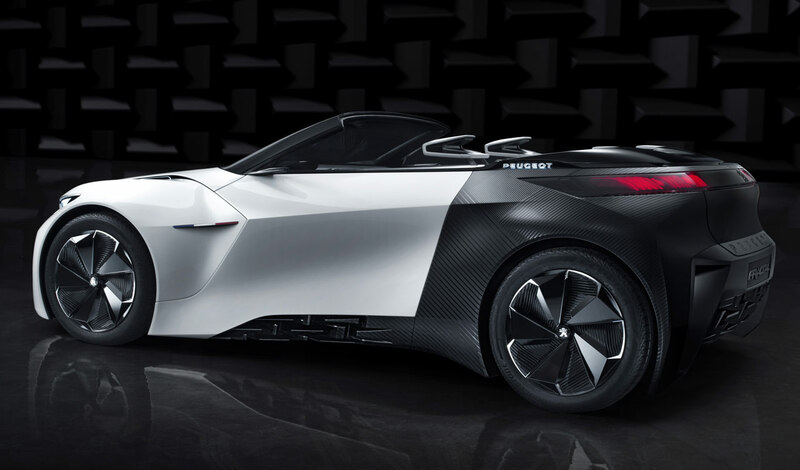 The mid-mounted, 30kW/h batteries provide up to 280 miles of range. 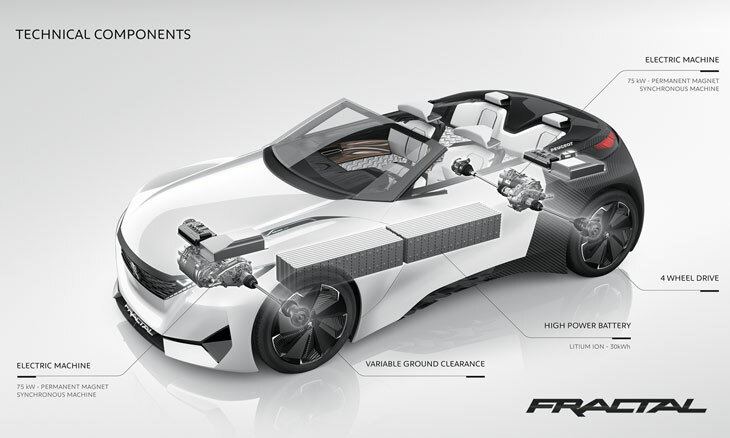 Performance for the FRACTAL isn't jaw-dropping, but it is fairly brisk. The 0-62 mph sprint takes 6.8 seconds. Other highlights of the concept include a driver-controled adjustable ride height system which can raise or lower the car by up to 4cm (1.6 inches).